Ergomed is a publicity traded company on the AIM market of the London Stock exchange under the symbol ERGO. Welcome to the Investor Relations section of the Ergomed website. Ergomed offers a comprehensive suite of specialised services to the pharmaceutical industry. In our Clinical Research Services division, we undertake on behalf of our clients all facets of clinical trial management, from Phase I to IV. In our Drug Safety and Medical Information division we provide a range of services related to the collection, aggregation and reporting of safety issues related to drugs on the market, sometimes called pharmacovigilance. In addition, Ergomed has a drug development portfolio of co-development partnerships and wholly-owned programmes. The Ergomed group operates out of 20 offices across the globe. Over 20 years Ergomed has built particular expertise in oncology, neurology, immunology and the development of orphan drugs. Our approach is differentiated from other providers through our innovative Site Management model and Study Physician teams, resulting in a closer and more productive relationship between Ergomed and investigational sites involved in clinical trials. Ergomed Clinical Research Services is conducting clinical trials in 55 countries. Through our subsidiary PrimeVigilance, we offer the full range of drug safety and medical information services including adverse event case processing, aggregate reporting, risk management plans, signal detection and audit. PrimeVigilance, including the recently re-branded PharmInvent, is a medically led organisation with a passion for quality. This is reflected in our exceptional client retention and organic growth. PrimeVigilance is currently monitoring drugs in over 100 countries for more than 100 clients (see: www.primevigilance.com). We have a portfolio of four active co-development partnerships with pharmaceutical and biotech companies in which we share the risks and rewards of drug development with our partners. In addition, our Haemostatix subsidiary is developing two wholly-owned products for the treatment of surgical bleeding (see: www.haemostatix.com). The Audit and Risk Committee has Peter George as chair, and has primary responsibility for monitoring the quality of internal controls, ensuring that the financial performance of the Company is properly measured and reported on and reviewing reports from the Company’s auditors relating to the Company’s accounting and internal controls, in all cases having due regard to the interests of Ergomed’s shareholders. The Audit and Risk Committee is also responsible for ensuring that the Company is complying with the AIM rules and its corporate governance obligations and for assessing the Company’s corporate governance practices. The Audit and Risk Committee meets at least twice a year. Michael Spiteri is the other member of the Audit and Risk Committee. The Remuneration Committee has Michael Spiteri as Chair, and reviews the performance of the executive directors and determines their terms and conditions of service, including their remuneration and the grant of options, having due regard to the interests of shareholders. The Remuneration Committee meets at least twice a year. Peter George is the other member of the Remuneration Committee. The Nomination Committee has Dr. Miroslav Reljanovic as Chair, and identifies and nominates for the approval of the Board, candidates to fill board vacancies as and when they arise. The Nomination Committee meets at least twice a year. Peter George and Michael Spiteri are the other members of the Nomination Committee. In addition to the AIM market, the Company’s shares are also traded on Xetra, the electronic trading system of Deutsche Börse AG in Germany. The ISIN is GB00BN7ZCY67 and the ticker symbol is ZEMGR. The Board of Ergomed plc recognises the importance of sound corporate governance and has adopted the QCA Corporate Governance Code (published in April 2018 by the Quoted Companies Alliance). The QCA Corporate Governance Code states that “Companies need to deliver growth in long-term shareholder value. This requires an efficient, effective and dynamic management framework and should be accompanied by good communication which helps to promote confidence and trust”. Ergomed’s Chairman has made a Corporate Governance Statement in accordance with the QCA Corporate Governance Code, explaining how Ergomed complies with the ten principles of the QCA Corporate Governance Code (available here). The Corporate Governance Statement will be updated annually. The below analyst follows Ergomed. To obtain a copy of their research report(s), please contact as per below. Millions of people fall victim to scams every year, from experienced investors to people dealing with a large sum for the first time. They may offer to sell shares that turn out to be worthless or non-existent, or to buy shares at an inflated price in return for an upfront payment. While high profits are promised, if you buy or sell shares in this way you will probably lose your money. ‎In particular, it has come to our attention that individuals have been sent letters purporting to come from Ergomed, together with a contract note asking for payment to be made to an account in settlement of a share purchase. These are not from Ergomed and the adviser referred to in these letters, Applied Finance Group, has not been engaged by Ergomed for any purposes and you should not transfer any money to them. You should treat any call, email or letter with extreme caution. Get the name of the person and the organisation contacting you. Check the FCA Warning List to ensure they are authorised. Use the details on the Financial Services Register to contact the firm. Dr. Miroslav Reljanović is a medical doctor and a board-certified neurologist. Whilst practicing as a physician in a large WHO Collaborating Centre in Zagreb, he was the clinical investigator in numerous Phase II and III studies in the field of neurology and a consultant to various pharmaceutical companies. Miro founded Ergomed in 1997 and he introduced the novel Study Site Coordination model as an intrinsic part of the conduct of clinical studies. Miro successfully introduced the first European co-development business model and he has completed several partnerships with European and North American listed biopharmaceutical companies. Miro co-founded PrimeVigilance in 2008 and it soon became a leading specialist vendor of contracted pharmacovigilance services to the pharmaceutical industry. Miro led Ergomed through a successful IPO on the AIM market of the London Stock Exchange in July 2014 and the subsequent completion of five acquisitions and a secondary offering. Miro is a director of Asarina Pharma AB (listed on the Nasdaq First North exchange), and Modus Therapeutics Holding AB, both Swedish-incorporated companies in which Ergomed plc has an equity stake through co-development arrangements. Miro is Chair of Ergomed’s Nomination Committee. Peter George joined Ergomed as a non-executive director in May 2014. 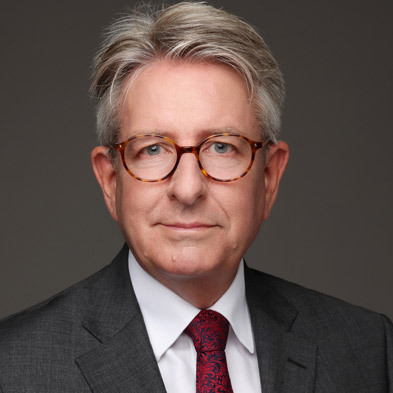 He became Ergomed’s Senior Independent Director in February 2019, having served as Non-Executive Chairman from April 2017 to January 2019. Peter has over 20 years’ experience in the pharmaceutical services industry, most recently as Chief Executive Officer of Clinigen Group plc, the AIM-listed global speciality pharmaceuticals and pharmaceutical services business. Peter stepped down as CEO of Clinigen in November 2016. Prior to Clinigen, Peter was CEO at Penn Pharma, having led a £67 million management buy-out of the company in 2007. Before this, Peter was executive Vice President for Wolters Kluwer Health with responsibility for Europe and Asia Pacific regions. Peter has also held roles as the Chief Operating Officer of Unilabs Clinical Trials International Limited, Head of Clinical Pathology in the Oxford region of the NHS and as a director of PharmaPatents Global. Peter is currently Chair of Benchmark Holdings plc and Entrepreneur in Residence at Oxford Sciences Innovation. He is also Président of Enigma Holdings Ltd and Chairman of Mitre Group Limited, XPG Ltd, Marco Polo Events Limited, and Rent Plus Ltd, companies he owns or has significant holdings in. Peter’s technical, commercial and business expertise in pharmaceutical services and experience of the AIM market environment enable him to provide valued guidance to the Board. Peter is Chair of Ergomed’s Audit and Risk Committee and a member of its Remuneration Committee and Nomination Committee. Stuart Jackson joined Ergomed as Chief Financial Officer on 2 July 2018. Stuart has over 20 years’ experience at the Chief Financial Officer level in companies on the London, NASDAQ and Oslo Stock Exchanges. He has significant international experience in early stage and growth companies as well as managing significant and complex change projects. Stuart’s experience has been gained primarily in the energy and technology / telecommunications sectors, where consistent project service delivery across a number of geographies has been a key feature of business success. To expand on some of Stuart’s achievements; he was CFO at Acergy SA, where he was responsible for the financial restructuring of the business and implementation of a new business strategy which took Acergy from $0.1bn to $6.0bn market capitalisation over a four year period. Recently he was CFO at CEONA, where he was responsible for the early stage set-up and growth of the business. He was also CFO at Bibby Offshore Holdings Limited, where he managed strategic development and M&A activities and oversaw its recapitalisation. Stuart’s broad experience of finance and business equip him to lead the Group’s finance and accounting function and advise the Board on these matters.